And it all falls down. Wednesday 18th July. 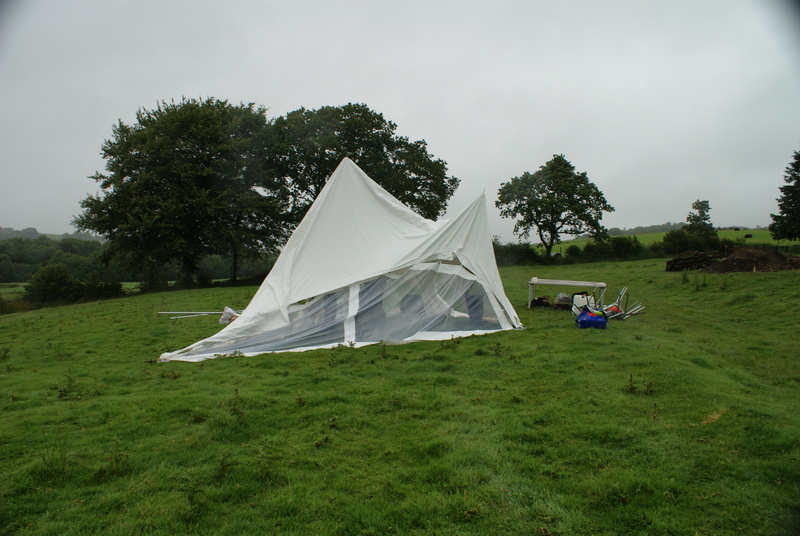 Arrival on site greeted us with a collapsed tent which resulted in various shades of hilarity whilst the site supervisors attempted to hold up the tent by hand. It seems that this wonderful summer weather we’re getting wants us to stop digging! Eventually though we managed to get the tent standing again (with help from the Botanical Garden’s maintenance staff) and we could get back to work! 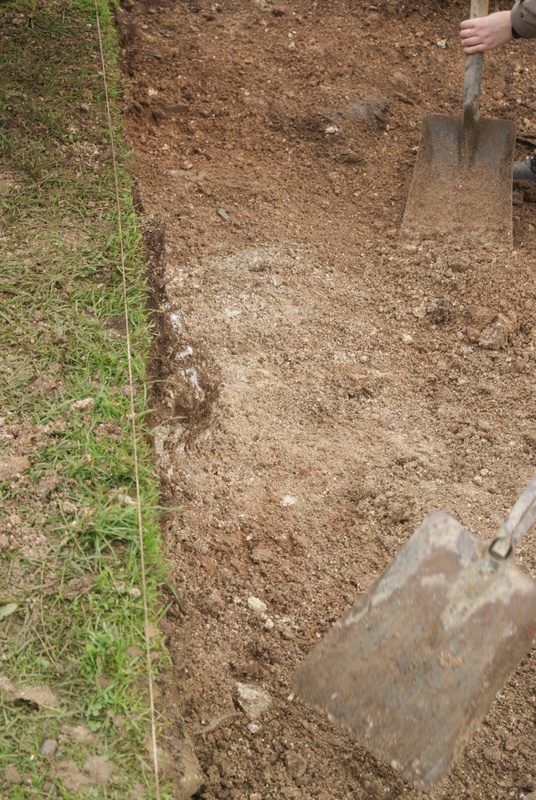 The first thing we did was to finish removing the earth from the north 50cm extension of the trench. Under this earth we found more cobbles extending from the cobbles found last year. 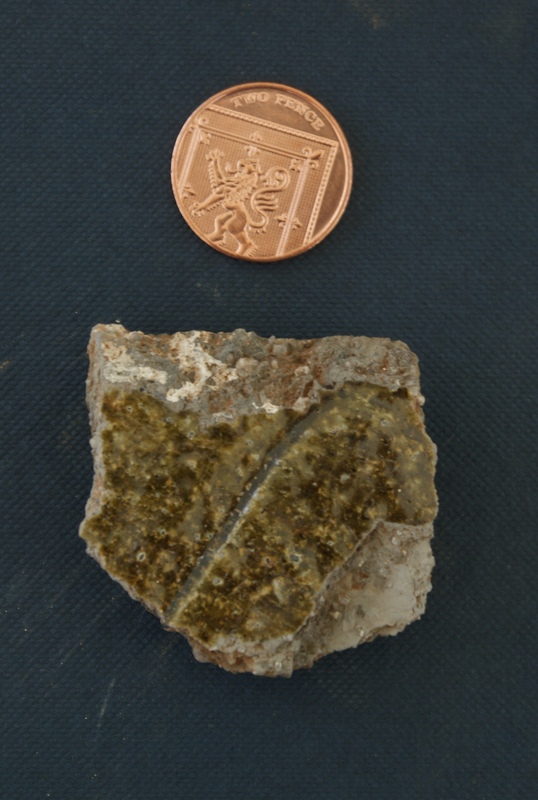 Under the west extension area we found a layer of red clay which had inclusions of mortar which would have been deposited during the demolition of Middleton Hall by Paxton in the 19th Century. 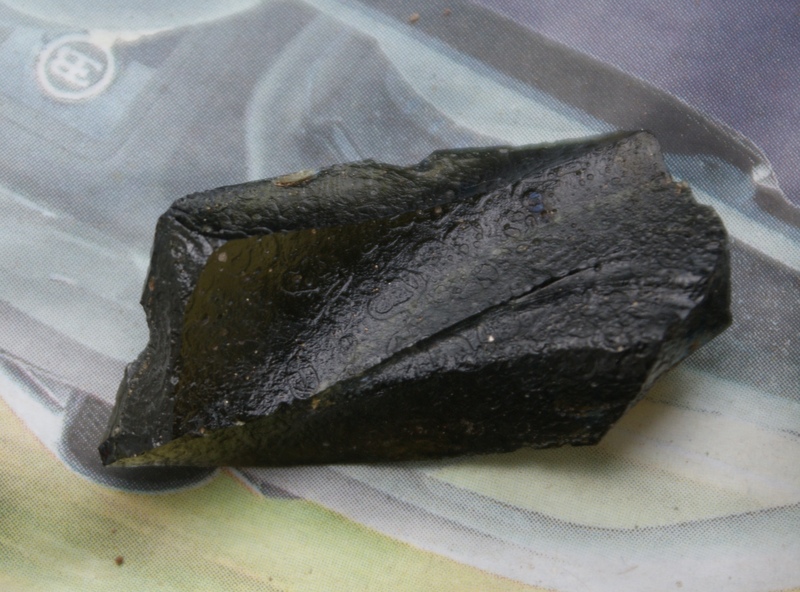 Within the soil below the turf which was removed on Monday were various finds including a screw top paint tube (image below), some more pottery sherds and some glass including a lovely piece of chunky dark green bottle glass (also pictured below). 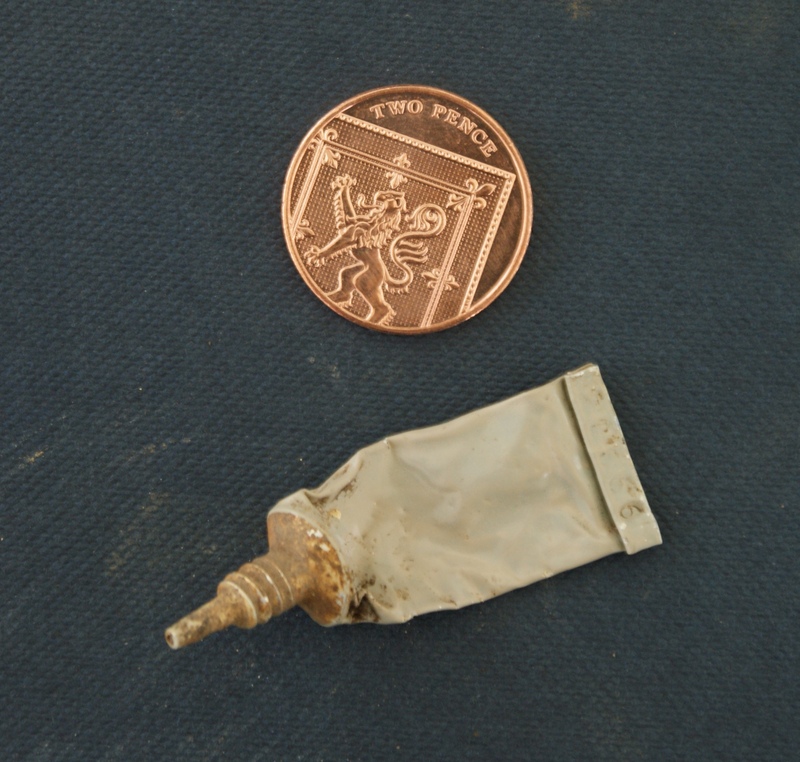 Paint tube – do you know anything about the development and/or seriation of paint tubes? If so, let us know! 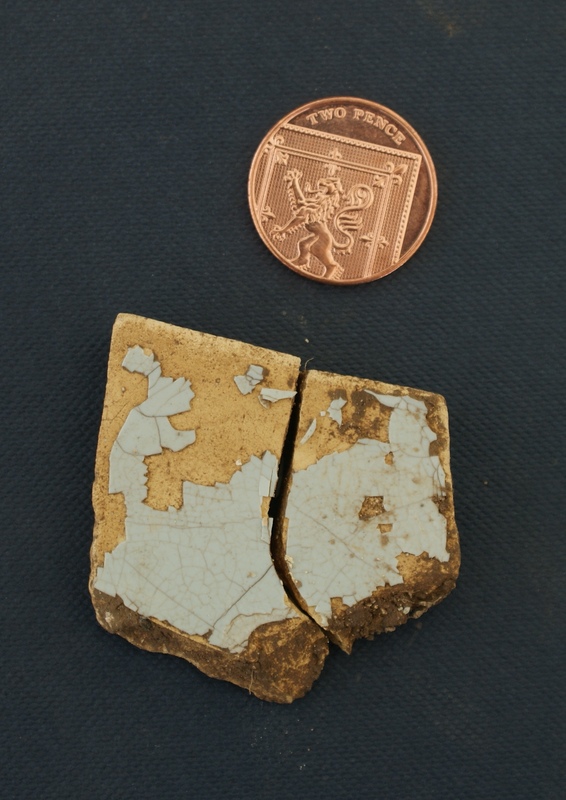 As we were removing the last part of the trench extension we discovered some eggshell blue tile, identified as wall tile (because it is so thin), which is the first evidence we have found this year of internal decoration. 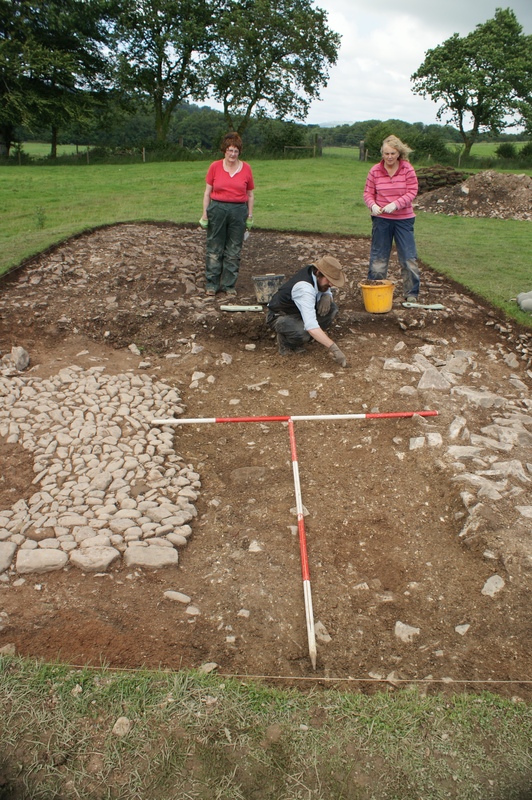 So, following a great day’s work we ended up with a clean and tidy trench. 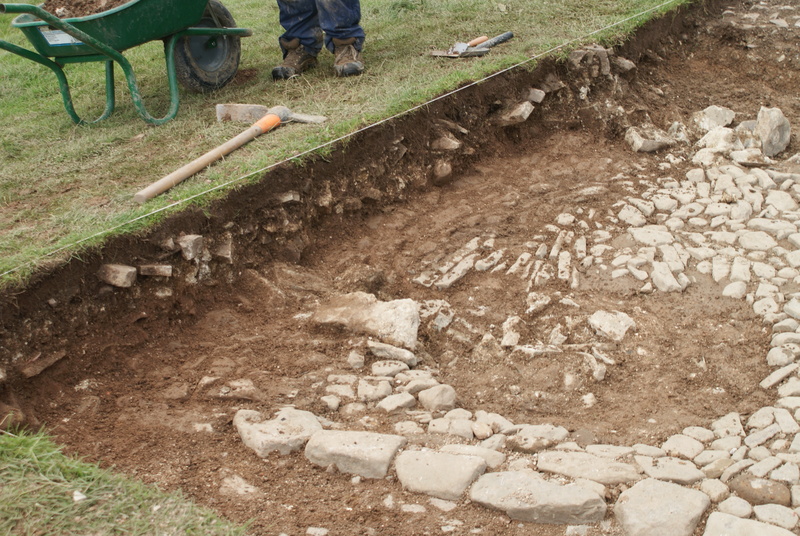 The suspected robber trench (a ditch left behind when a wall has been removed so stone can be re-used elsewhere) continues all the way through the trench and presumably beyond. A lot of work was completed and we all left site hoping that the tent would stay standing this time!